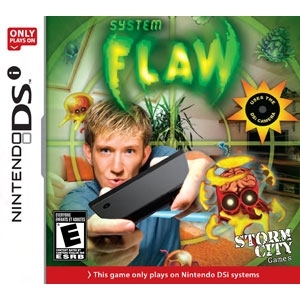 System Flaw for DS... You are a new special agent equipped with the latest state of the art weapon to fight the Flaw. They are everywhere! They surround us but are undetectable with human eyes. Using your state of the art weapon you must track these enemies, watch them, as they are all around you. It's a simple process...get them before they get you, using radar, watch them for real around you on the video stream and shoot to kill the enemies before they reach you. Manage your health and energy bar, switch to defensive or rage mode at will. The question is "are you good enough to defeat the Flaw and save mankind?"